Asus has confirmed that it won't be making any more tablets running Microsoft's poorly-recieved Windows RT operating system, citing weak sales. 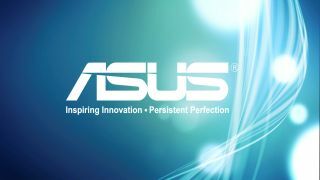 Speaking to the Wall Street Journal at an earnings conference, Asus CEO Jonny Shen said that the company will stick to making devices that house Intel chips and run the full-fat version of Windows 8 because of its backwards compatibility with existing desktop programs. Shen noted "industry sentiment" that "Windows RT has not been successful", adding that the company took a writedown on its Windows RT tablets in the second quarter, though he did not give a figure. We reported at the end of July that Asus was thinking about winding down production of Windows RT tablets after the company's Chairman Jonney Shih told AllThingsD that the OS, which powers mobile devices including Asus's own VivoTab RT and Microsoft's Surface RT, looked "not very promising". He also pointed out that people aren't quite ready to ditch legacy Windows programs and criticised Microsoft's decision to leave off the 'missing' Start menu. The company recently introduced the Transformer Book Trio, which gives users a choice between Windows 8 Pro and Android, and when asked about the company's plans for smaller eight-inch Windows tablets, Shih said that "the 10-inch may make much more sense". Asus isn't the only company to mull over winding down production of Windows RT devices. Samsung cut support earlier this year citing "weak demand", and HP scrapped plans to release RT-powered devices before the OS had even hit the shelves. Microsoft recently reported a $900 million charge thanks to Surface RT inventory adjustments, with CEO Steve Ballmer admitting that the company had built "a few" too many Surface RT tablets. Check out our feature: Is Surface RT Microsoft's Zune all over again?